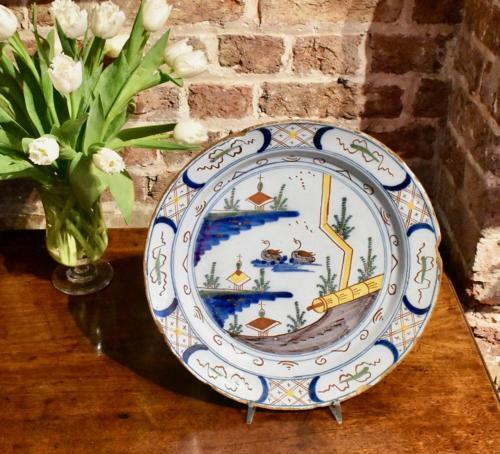 A colourful and attractive mid 18th century Dutch Delft polychrome charger in Chinese style with swan motif. Circa 1750. Condition: some large chips to the border, commensurate with age and material.